Sure, the normal fans can get the special edition Blu-ray and call it a day, but some of us are cut from a more obsessive cloth. We don't just want the movie and the commentary and the special features. We want even more. We want memorabilia and books and even things that are only tangentially related. That's what Beyond the Blu is all about - the cool and weird stuff you can pick up with your brand new Blu-rays. This installment focuses on the movies released last month. Yeah, a touch later than usual, but with CES and all it's been a busy month! Sure, it wasn't a great movie, but 'Real Steel' had some very cool things going for it, like robots. Robots fighting one another. It's also not a 'Transformers' movie, which is an added bonus. Sadly, we don't yet have our own fighting robots, but we can pretend we do by picking up some classic Rock 'Em Sock 'Em Robots to play with. If a hot date asks why you have them, just tell them it's for when your nephew comes over to play. Or just explain how awesome it is. The former seems like a safer bet. This probably isn't breaking news, but Charlie Kaufman is awesome. He was going layers deep into weirdness with movies like 'Synecdoche New York' before Nolan got all ham fisted with the idea. He also wrote the incredible 'Adaptation,' wherein Nicholas Cage plays Charlie Kaufman, who is struggling with writer's block in trying to adapt a book. The movie was inspired by Charlie Kaufman's struggle with writer's block while trying to adapt a book. The dreaded inability to create helped the screenwriter in this case, but few of us can get away with completely ditching our assignment to write about writing our assignment, so Overcoming Writer's Block is for us. Remember how I said the word "tangentially" in the intro? This is what I'm talking about. 'Dutch' was one of my favorite movies when I was a kid and the last time I saw it, the flick still held up. A lot goes on in the movie, including a cameo by Arnold Palmer, inventor of the Arnold Palmer, which you can totally drink while watching this movie. 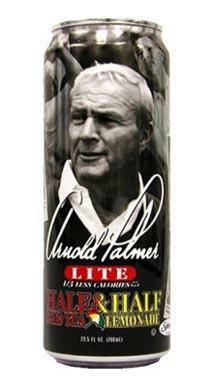 When he wasn't revolutionizing the way we see iced tea and lemonade, Arnold Palmer likes to play golf. It's not a great three pack, but 'The Perfect Storm' at least borders on good. There's a nice little speech or two in there and George Clooney does his whole "being unreasonably handsome" thing, so it's worth a watch. If you want a better insight into the story though, check out the book ' The Perfect Storm: a True Story of Men Against the Sea.' Don't feel like reading? The audiobook is read by Stanley Tucci. There are two other movies in this three-pack, but 'Se7en' stands out from the pack. Despite the whole number in the name thing, it's an excellent film and the score was created by none other than the great Howard Shore. Shore's music for 'Se7en' is good, but his most celebrated work to date is for the 'Lord of the Rings' trilogy. If you're a Shore fan, check out the ' Lord of the Rings Symphony.' It's not a symphony, technically, but it's still awesome. I love Steven Segal. I'm not afraid to say it - the man makes damn entertaining movies. I trend to his newer faire, which is so bad as to be hilarious, but the old flicks are worth checking out too. Point is, you can't love someone - idolize them even - without wanting to be them. I've got long hair so it's easy for me, but for those that don't, get yourself a Steven Segal ponytail. You know you want to. If you're picking up this three-pack then, well, you're doing something wrong. Unless you absolutely need all the movies in the series, there's no reason to buy, rent or even watch these flicks for free. Instead, pick up the original 'Nightmare on Elm Street' and the original ' Friday the 13th.' You'll be glad you did.